Paul Walker’s foundation, Reach Out WorldWide, is continuing to give to others in a touching tradition inspired by the late actor. Narconon Redwood Cliffs, Purist Car Group and Leapfrog just participated in an event at the Pajara Valley Women's Shelter with the group that provided food and gifts for women and children in need for the holidays. Paul Walker’s legacy lives on through the assistance that Reach Out WorldWide continues to provide for others in need. Just before Christmas the Pajaro Valley Women’s Shelter received some much needed help for the 9 mothers and 21 children residing at the facility. Narconon Redwood Cliffs held an event at the shelter with gifts donated by Reach Out WorldWide, Purist Car Group and Leapfrog. With Santa in tow each resident received their Christmas list of gifts and took part in the holiday cheer. 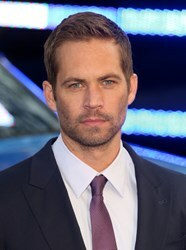 The event was bittersweet, especially with the passing of Reach Out WorldWide founder, Paul Walker. It was also touching in the fact that even after the passing of Walker, the Reach Out foundation continues to provide help for those in need. Paul Walker was born in Glendale, California on September 12, 1973. Paul began acting and modeling when he was young, and appeared in television shows like Charles in Charge, Highway to Heaven and Who’s the Boss. He made his big-screen debut when he was thirteen years old in the spoof movie Monster In Your Closet, but it was the 1998 film Pleasantville that really propelled Paul into the big leagues as an actor. He followed Pleasantville with roles in She’s All That, Varsity Blues, and The Skulls. Then in 2001, Paul landed a leading role in The Fast and The Furious alongside Vin Diesel. This movie, including its subsequent prequel and four sequels, became a hit series and rocketed Paul Walker to new heights as an actor. Outside of acting, Paul was well known for his humanitarian efforts. Following the 7.0 magnitude earthquake near Port-au-Prince, Haiti in January 2010, Paul visited Haiti as part of a relief team. Once there, Paul discovered that there was a severe lack of skilled personnel in post-disaster situations, despite a desperate need for such resources. When he returned home, Paul contacted a group of friends and together they formed Reach Out WorldWide, a group of professionals with first responder skills who accelerate the relief efforts of local experts. Less than a month after the devastating earthquake in Haiti, an 8.8 magnitude quake hit in Chile on February 27th, 2010, and was followed by several tsunamis. This caused Reach Out WorldWide to begin its second mission mere weeks after its first. Then, in October 2010, a tsunami ripped through the Indonesian Mentawai Islands, which were already struggling through the aftermath of a 7.7 magnitude earthquake. Once again, Reach Out WorldWide moved in to assist those in desperate need of help. Reach Out WorldWide has also aided in relief efforts following the Tuscaloosa, Alabama tornado in April 2011, the Philippines typhoon in December 2011 that displaced one hundred thousand residents, the Oklahoma City tornado in May 2013, the Colorado flood in October 2013, the Illinois tornadoes in November 2013, and much more. On November 30th, Paul Walker was tragically killed in a car accident along with great friend and fellow Purist Member Roger Rodas, who created Reach Out Worldwide along with Paul. These two men believed in helping others through giving back and were shining examples of what it means to be a good person. Paul Walker’s legacy lives on through the assistance that Reach Out WorldWide continues to provide for others in need. The event held on December 17th, 2013, by Narconon Redwood Cliffs was the fifth annual toy drive to benefit the Pajaro Valley Women’s Shelter in Watsonville, California. With donated funds Redwood Cliffs purchased over one hundred gifts as well as pizza, pastries and soft drinks to donate to the shelter. Narconon Redwood Cliffs is immensely grateful to Reach Out WorldWide, Purist and Leapfrog for their generous donations. With their support, Pajaro Valley Women’s Shelter was able to bring holiday joy and cheer to many mothers and children in need.